The Vail Rotary Club provides nonprofits in the valley the opportunity to sell ducks for the annual Vail Rotary Labor Day Weekend Duck Race. Those nonprofits keep a share of all the funds they raise. 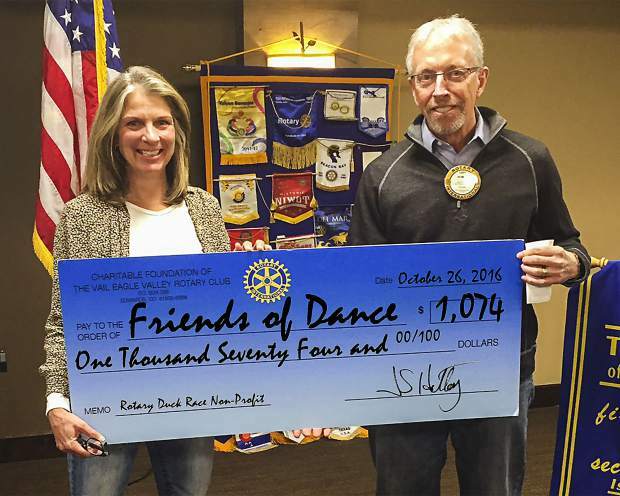 One of this yearâs nonprofits was the Friends of Dance. Larry Agneberg, Rotary Head Duck, recently presented Liz Campbell a check for the money they raised.